I've lived in Portland for over twelve years. While twelve years isn't necessarily a "lifetime", it's long enough to learn about a place, to figure out its nuances. To get comfortable with a place. To get bored of a place. Yes, I admit I can get bored of Portland. But Shawn, you say, how can you get bored of Portland, city of Portlandia, bikes, beer, volcanoes, and Voodoo Doughnuts? Yep, even with all that stuff. But my boredom stems more from the notion that I've seen it all here, that there is nothing new to explore. So when I get that feeling, it's time to pull out the maps and all that and find the places that I haven't explored yet. Prove myself wrong. The area that I've been trying to explore more as of late is what I call the "southern fringe". It's the border area that lies on the south edge of the city where it meets the Boring Lava Field around Mount Scott and towards Clackamas County. The Springwater Corridor skirts the edge of this region, but to really explore it I need to get off of that path and into the hills. 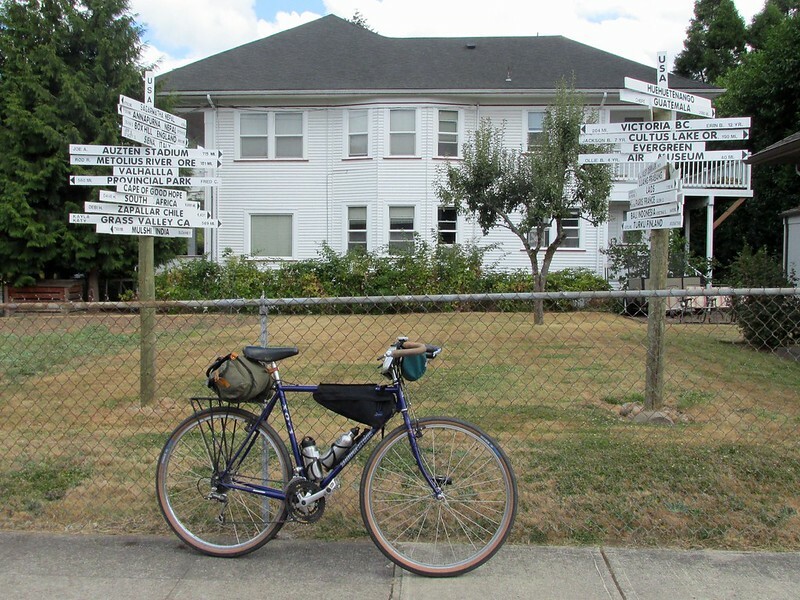 On Saturday I took a ride through the southern fringe east of I-205 using SE Knapp to SE Flavel. It wasn't too far in where I made my first discovery: an unnamed creek that flowed down a rocky little canyon! While it looks dry from the photos, there is still a trickle of water running between the boulders. Now I just need to come back here in winter, when the creek will be running at full strength. 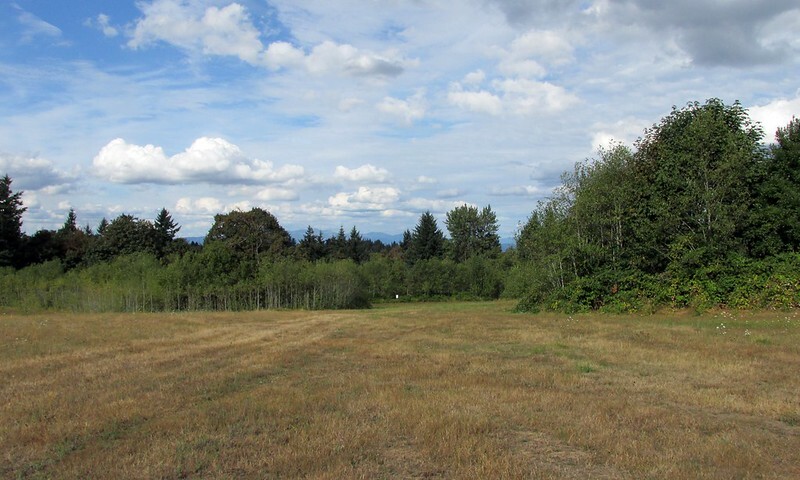 Further on down SE Flavel I found an entrance to a "Natural Area". * The road behind the gate doesn't really go anywhere, dead-ending about 200 feet further. But there was a rough trail leading up the hill. Hopefully at some point in the future, I can come back and explore. Right now it was just a tantalizing glimpse. SE Flavel ends at SE Deardorff, and from there the road descends down a wooden canyon then crosses Johnson Creek via one of my favorite Portland secrets, a covered bridge! 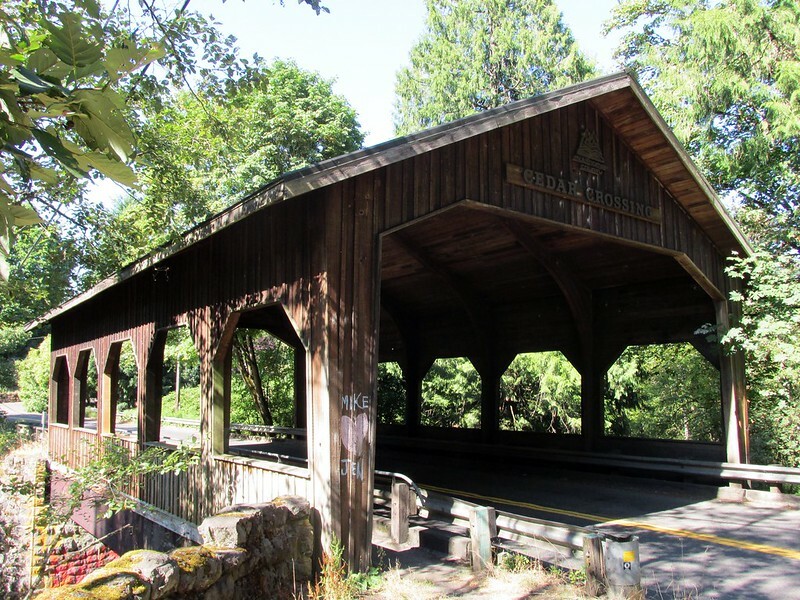 This covered bridge, named Cedar Crossing, isn't that old, actually built in 1982 when Multnomah County realized they never had a covered bridge. We'll take what I can get. From there I headed up busy Foster Road and more peaceful Barbara Welch Road to a destination I had been trying to reach for awhile, Clatsop Butte. Clatsop Butte is one of the many buttes (like Mount Tabor) formed by volcanic activity, the Boring Lava Field to be specific. The climb to the top was short but steep, and at the summit was Clatsop Butte Park, basically a large field with glimpses of mountains in the distance. From the summit, I descended the butte via the westside. 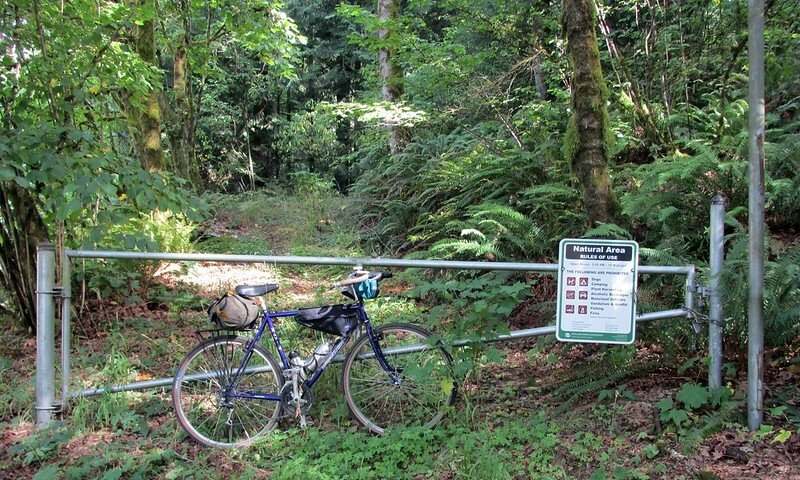 A secret road closed to cars led me down to SE Duke, a very steep descent back into the Johnson Creek valley. 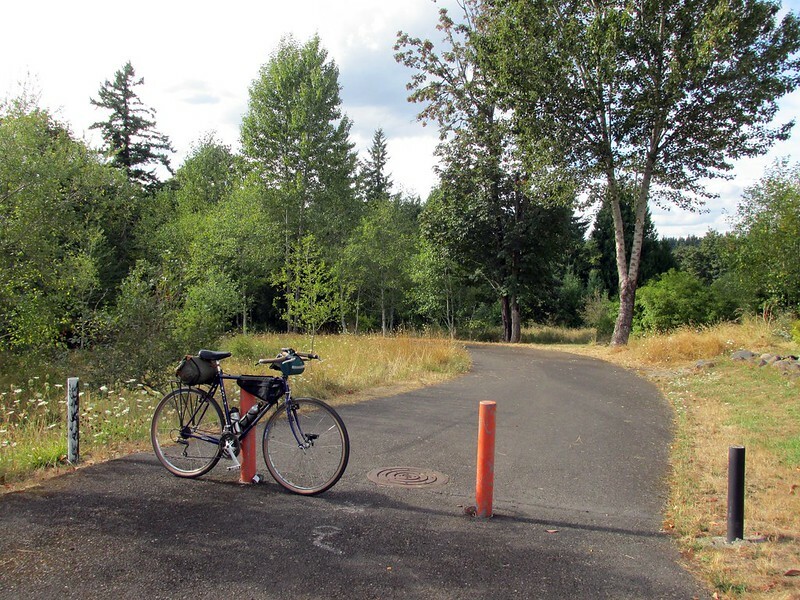 After a stop at Powell Butte, I pedaled back towards home. I started the Urban Adventure League in 2004, almost ten years ago. 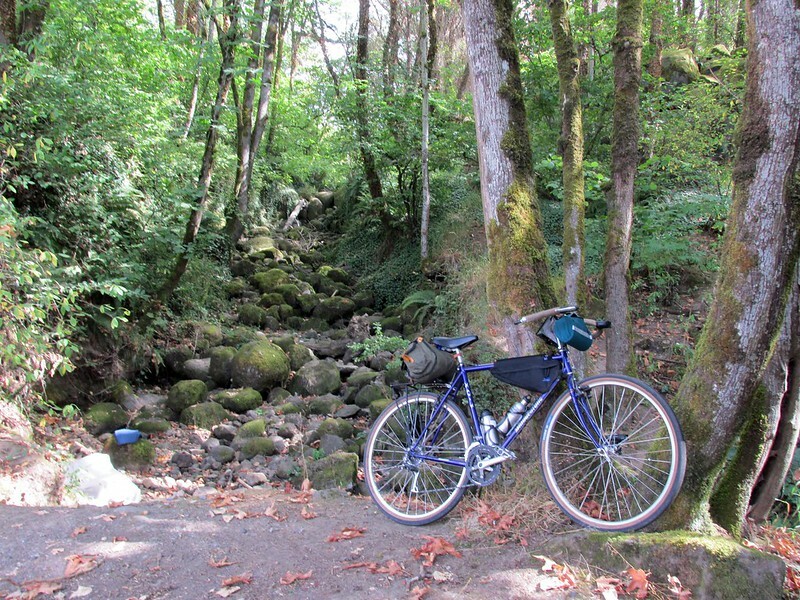 While most modern readers of this blog think the League is just about geeking out about bikes and such, the underlying raison d'etre has remained the same: exploration and discovery. I wanted to help people explore and discover the uniqueness of their place, wherever that place may be. While bikes are definitely cool, bikes are just the tool for discovery. Wherever we may be, there is always more to explore, even when we think we've seen it all. I don't know how long I'll be in Portland. Several more years? Another dozen? Multiple dozens? Forever? But I know I'll keep on seeking out the unknown for as long as I'm around. And if I go somewhere else, I'll do the same. *Later, on the SE Walking Map, I found that this Natural Area was listed as "Campfire Properties." well, that's exciting! i find biking up barbara welch to be a bit terrifying (and anything east of foster at that point), but it looks like Duke and Cooper make that a lot less pressured w/ traffic. i'll have to try that! have you been to brinford reservoir and butler creek park? charming and easy access off the springwater. Hell to the YEAH on the getting bored part. That's part of the reason I started working on hiking everything in William Sullivan's "100 Hikes in Northwest Oregon and Southwest Washington" last fall. Still have a long way to go but it's getting me to places I've never seen before.